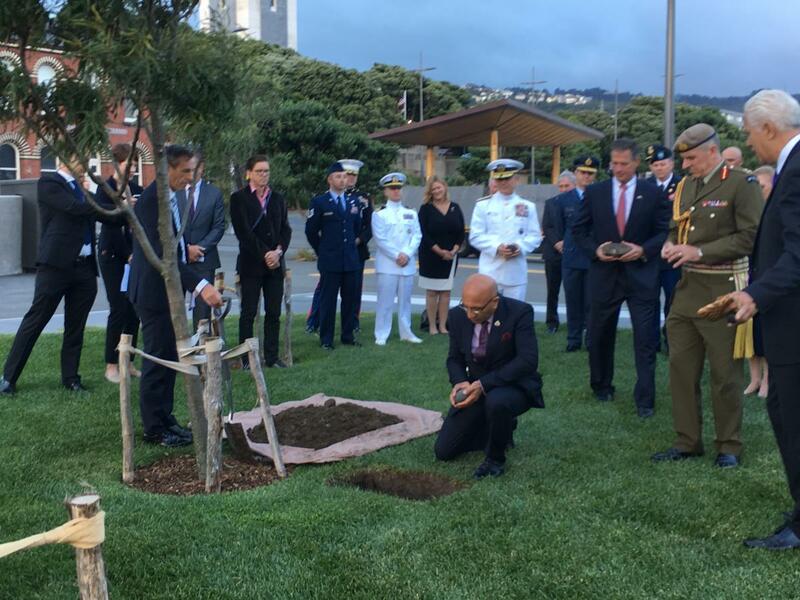 Unveiling the design for the US memorial and the mauri stones ceremony cements the long-standing relationship between the United States and New Zealand, in times of peace and conflict, Paul James CE Manatū Taonga Ministry for Culture and Heritage said today. 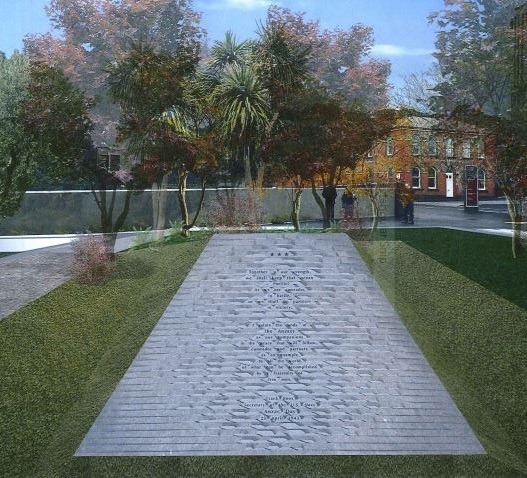 Drawing of the forthcoming US Memorial at Pukeahu National War Memorial Park. “Pukeahu is a place where New Zealanders reflect on this country’s experience of conflict and how this has shaped our national identity,” he said. “Through almost all the overseas conflicts New Zealand has been involved in, the US has also been there. It’s most appropriate the US was one of the first nations to be invited to build a memorial at the Park. “The US memorial will be a constant reminder of this shared heritage and common interest,” Paul James said. United States Ambassador to New Zealand His Excellency Scott Brown said the bedrock foundation of the US and New Zealand relationship was forged during World War II when more than 150,000 American servicemen and women came to New Zealand. “They were asked to come and defend Aotearoa from invasion while most of the New Zealand military were in Europe. “It was here they prepared for battles in the South Pacific, and here they returned for medical care. New Zealand families welcomed them into their homes and even today I meet people who speak fondly of these US service men and women. “This memorial will preserve our shared history, our shared values, and our shared commitment to making our world a better place, providing an important place for Americans and Kiwis to visit and reflect for many generations to come,” Scott Brown said. Minister of Defence Ron Mark placing one of the mauri stones into the ground at Pukeahu. Designed by architect Monica Ponce de Leon the US memorial will be the fifth to take its place at Pukeahu National War Memorial Park, accompanying those from Australia, Turkey, Belgium and the United Kingdom. The memorial design will be jointly unveiled by the US Ambassador His Excellency Scott Brown and Admiral Harry Harris United States Pacific Command, who is currently visiting New Zealand. Prior to the unveiling, the stones imbued with the mauri or life force of the memorial were buried at the site. Guests of honour Admiral Harry Harris, United States Pacific Command, US Ambassador HE Scott Brown, Minister Ron Mark and CDF Tim Keating holding the mauri stones. 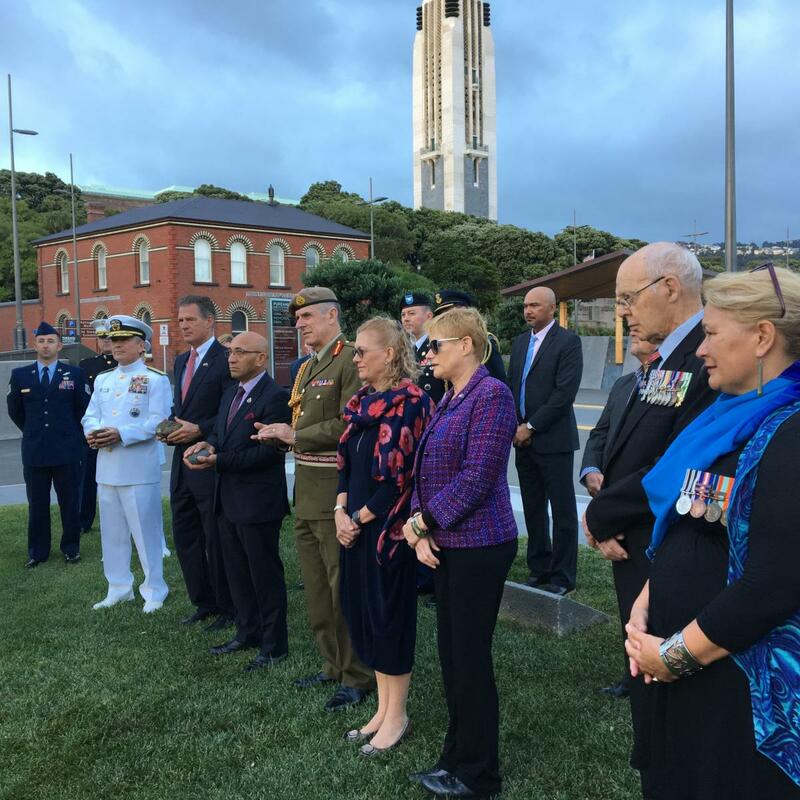 Opened in 2015 Pukeahu National War Memorial Park is Government’s key legacy project to mark the First World War centenary. 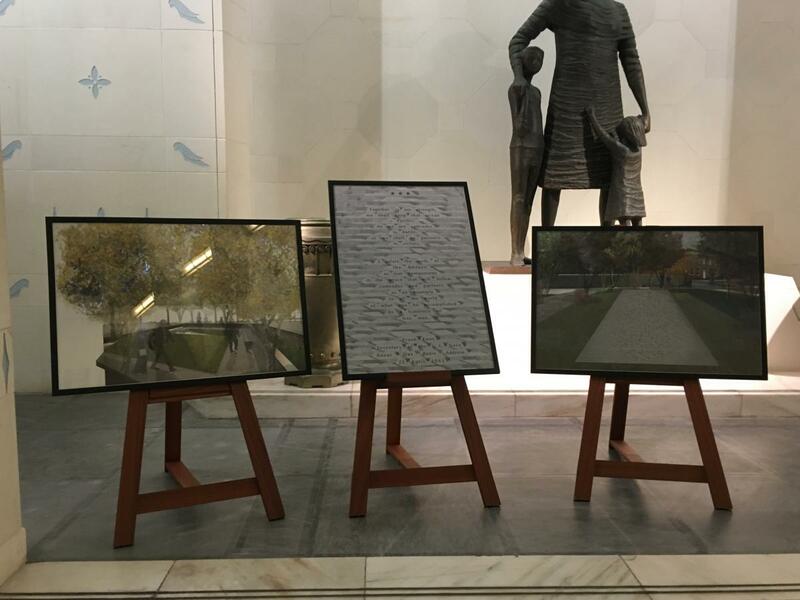 Three designs of the memorial are on display in the National War Memorial hall until April. Monica Ponce de Leon is a Venezuelan-American architect, and Dean of the Princeton University School of Architecture. She is working with landscape architects, Landworks Studio, and has been supported in Wellington by architect Sam Kebbell. The design was commissioned by the US Government and the American Battle Monuments Commission. Since 1923 the Commission has worked to fulfil its charter, to commemorate the service, achievements and sacrifice of America’s armed forces who have served overseas. The memorial is placed to draw people into an area of reflection. The entry pathways give way to a spiralling slope that will guide visitors around a gentle mound until, at the far end of the path, there is a tablet with a passage to help them focus on remembrance. Together, in our strength, we shall keep that ocean – Pacific!...As we are comrades in battle, so we shall be partners in victory. I salute the lands of the ANZACs as our companions in the peace that will follow, comrades and partners as an example to all the world of what can be accomplished by a fraternity of free men. The memorial’s granite tablet is currently being carved in Madison, Wisconsin, and is expected to arrive in New Zealand in May. Drawings of the US Memorial design now on display inside the Hall of Memories.